LDAP, or Lightweight Directory Access Protocol, is a protocol designed to manage and access related information in a centralized, hierarchical file and directory structure. In some ways, it operates similarly to a relational database, but this does not hold true for everything. The hierarchical structure is the main difference in how the data is related. It can be used to store any kind of information and it is often used as one component of a centralized authentication system. In this guide, we will discuss how to install and configure an OpenLDAP server on an Ubuntu 14.04 server. We will then install and secure a phpLDAPadmin interface to provide an easy web interface. Before we begin, we must install the necessary software. Luckily, the packages are all available in Ubuntu's default repositories. 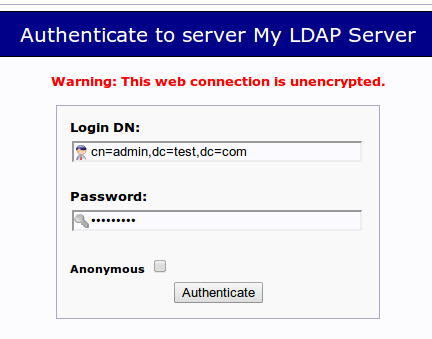 During the installation, you will be asked to select and confirm an administrator password for LDAP. You can actually put anything here because you'll have the opportunity to change it in just a moment. Even though the package was just installed, we're going to go right ahead and reconfigure the defaults that Ubuntu installs with. Although it is very possible to administer LDAP through the command line, most users will find it easier to use a web interface. We're going to install phpLDAPadmin, which provides this functionality, to help remove some of the friction of learning the LDAP tools. The web server is now configured to serve your application, but we will make some additional changes. We need to configure phpLDAPadmin to use the domain schema we configured for LDAP, and we are also going to make some adjustments to secure our configuration a little bit. Now that the package is installed, we need to configure a few things so that it can connect with the LDAP directory structure that was created during the OpenLDAP configuration stage. 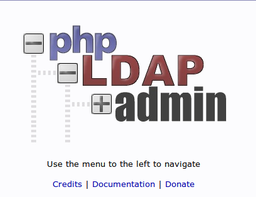 Next up, you'll need to configure the domain name you selected for your LDAP server. Remember, in our example we selected test.com. We need to translate this into LDAP syntax by replacing each domain component (everything not a dot) into the value of a dc specification. This is the last thing that we need to adjust. You can save and close the file when you are finished. 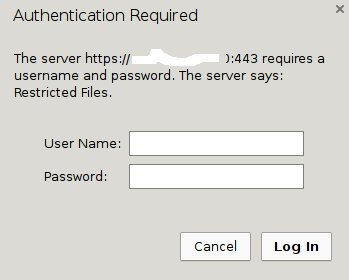 Since the admin interface is talking to the LDAP server itself on the local network, we do not need to use SSL for that connection. We just need to secure the external connection to our browser when we connect. To do this, we just need to set up a self-signed SSL certificate that our server can use. This will not help us validate the identity of the server, but it will allow us to encrypt our messages. You will have to answer some questions in order for the utility to fill out the fields in the certificate correctly. The only one that really matters is the prompt that says Common Name (e.g. server FQDN or YOUR name). Enter your server's domain name or IP address. We also want to password protect our phpLDAPadmin location. Even though phpLDAPadmin has password authentication, this will provide an extra level of protection. Now that you have the utility available, you can create a password file that will contain a username that you choose and the associated hashed password. Now, we are ready to modify Apache to take advantage of our security upgrades. This will enable the module, allowing us to use it. We still need to configure Apache to take advantage of this though. Currently, Apache is reading a file called 000-default.conf for regular, unencrypted HTTP connections. We need to tell it to redirect requests for our phpLDAPadmin interface to our HTTPS interface so that the connection is encrypted. When we redirect traffic to use our SSL certificates, we'll also implement the password file to authenticate users. While we're modifying things, we'll also change the location of the phpLDAPadmin interface itself to minimize targeted attacks. This is the place where we need to decide on the URL location where we want to access our interface. The default is /phpldapadmin, but we want to change this to cut down on random login attempts by bots and malicious parties. For this guide, we're going to use the location /superldap, but you should choose your own value. We need to modify the line that specifies the Alias. This should be in an IfModule mod_alias.c block. When you are finished, safe and close the file. We want to add information about our domain name or IP address to define our server name and we want to set up our redirect to point all HTTP requests to the HTTPS interface. This will match the alias we configured in the last section. This file is a bit more involved than the last one, so we will only discuss the changes that we have to make. All of the changes below should go within the Virtual Host block in the file. The last thing we need to do is set up the location block that will implement our password protection for the entire phpLDAPadmin installation. We can now move on to the actual interface. The warning is just here to let you know that the browser does not recognize the certificate authority that signed your certificate. Since we signed our own certificate, this is expected and not a problem. Click the "Proceed anyway" button or whatever similar option your browser gives you. Click on the "login" link that you can see on the left-hand side of the page. You will be taken to a login prompt. The login "DN" is like the username that you will be using. It contains the account name under "cn" and the domain name you selected for the server broken into "dc" sections as we described above. At this point, you are logged into the phpLDAPadmin interface. You have the ability to add users, organizational units, groups, and relationships. LDAP is flexible in how you wish to structure your data and directory hierarchies. You can basically create whatever kind of structure you'd like and create rules for how they interact. Since this process is the same on Ubuntu 14.04 as it was on Ubuntu 12.04, you can follow the steps laid out in the "Add Organizational Units, Groups, and Users" section of the LDAP installation article for Ubuntu 12.04. The steps will be entirely the same on this installation, so follow along to get some practice working with the interface and learn about how to structure your units. You should now have OpenLDAP installed and configured on your Ubuntu 14.04 server. You have also installed and configured a web interface to manage your structure through the phpLDAPadmin program. You have configured some basic security for the application by forcing SSL and password protecting the entire application. The system that we have set up is quite flexible and you should be able to design your own organizational schema and manage groups of resources as your needs demand. In the next guide, we'll discuss how to configure your networked machines to use this LDAP server for system authentication.